Motto: “Outfit your yard naturally”. Our mission is to provide our customers with quality recycled, natural, and organic landscaping materials while striving to provide exceptional customer service. Our commitment to educating the public on sustainable landscaping practices and carrying natural lawn care products is what sets us apart from our competition. With this in mind we will continue to position ourselves as the leaders of organic and natural landscape supplies in the growing retail and wholesale landscape supply industry. 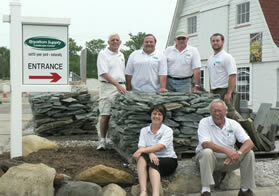 Royalton Supply Landscape Center was created over 15 years ago by a family concerned about the environment. Royalton Supply specializes in products ranging from mulch, topsoil, stone, playground mulch, organic fertilizers and other natural lawn care products. 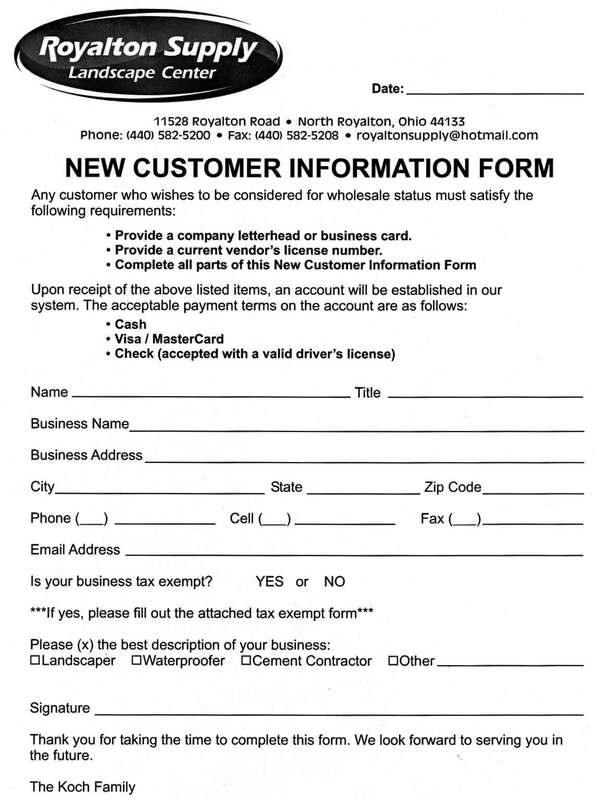 In 2016 Abraxus Snow & Ice Management purchased Royalton Supply Landscape Center, it combined two family-owned businesses with a passion for great customer service. The sale also resulted in a year-round landscaping supplier for residential and commercial customers. We have expanded our lineup of stone that we carry as well as brought on Unilock pavers and wall stone! 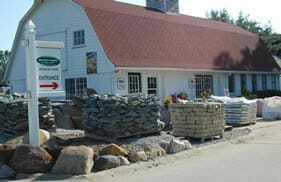 We like to call ourselves ‘The Jeweler store of landscaping stone’. Stop on in and check out our Rocks! 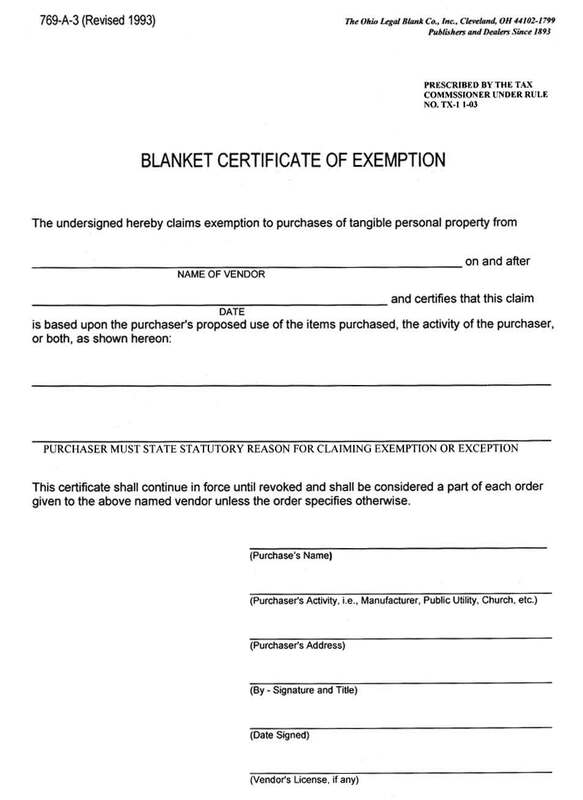 At Royalton Supply, we feel that acting in socially responsible ways is just good business. From time to time, we help organizations in ways that make a difference in children’s lives and promote sustainable gardening practices. A Strongsville teen organizes and redesigns a memorial garden for a Kinsner Elementary School student. 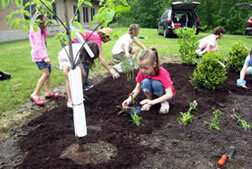 Volunteers planted trees, bushes and flowers for a butterfly garden. Butterflies were one of Hannah’s favorite things and the plants are designed to attract them to the garden. Located in Strongsville, Angel House is a learning garden center for children and their parents. The goal of the Angel House Center is to promote and educate the community about green living through talks, classes, and workshops. Art and music is weaved into the programs they offer throughout the season. On this project, we teamed up with Entrepreneurs 4 Sustainability (E4S), a diverse network of over 5,000 leaders who are putting the principles of sustainability into action. e4sThey asked for our help to create an asphalt garden. We supplied all of the base materials, compost, and top soil for 4 asphalt gardens. The project consisted of students from the Entrepreneurship Preparatory School (known as E-Prep) to plant and nurture locally grown vegetables organically. The students will be developing a plan for distributing the “fruits” of their labor. The project was featured on Channel 8 news and the Plain Dealer.